Bettine Boltres is a Technical Account Manager with West Pharmaceutical Services, Inc. Her career focuses on supporting pharmaceutical companies in addressing the technical and regulatory challenges of drug package and delivery systems – at West with elastomer components, and prior as a Product Manager at Schott AG, with glass components. She has shared her knowledge in several articles, including the book, When Glass Meets Pharma. She is well recognized in the industry through the committee positions she holds: USP Packaging and Distribution Expert Committee, European Pharmacopoeia Commission Group of Experts 16 (elastomers), GLS Working Party (glass), and ISO TC76/WG 4 (elastomers). She has presented as frequent speaker and has chaired and moderated several conferences and technical trainings for PDA. Additionally, she is actively involved in writing the PDA Glass Handling TR and is the European co-chair of the PDA Packaging Science Interest Group. As a longtime member of the Program Planning Committee for the Parenteral Packaging Conference, she is each year highly motivated in assembling a compelling program. In 2016, she was rewarded with the PDA Distinguished Service Award, which strongly motivated her to continue her contribution. Her scientific base is a diploma in chemistry (University Frankfurt) and a PhD in biochemistry (University Cologne). I am honored to be considered for a position on the PDA Board of Directors. As a Board member, I will fully support PDA’s journey into the future and realization of the 2020 Strategic Plan. I will focus on maintaining PDA as the preferred place for scientific and regulatory exchange. This means, for example, keep scouting for emerging trends, developments, and challenges and including them in future conferences, but also actively searching for unmet needs and creating new formats to address them. We will continue aligning best practices in industry with ever-changing regulatory requirements and be the leader in facilitating the global harmonization trend. I will strongly support PDA's growth in involving new talents and helping them grow into our industry by providing you and your young colleagues a platform to foster your professional career and expand your scientific horizon. Building the bridge between primary packaging components and the drug substance and connecting both on the base of regulatory environment has always been my passion and I would consider myself very lucky if I could use this passion to bring PDA forward. 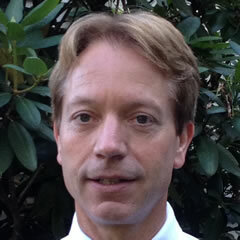 Stephan O. Krause, PhD, is the head of the Product Quality Group for AstraZeneca Biologics in Maryland, USA. Stephan has a PhD in analytical biochemistry from the University of Southern California and has fulfilled leading roles in QA/QC and RA for clinical and commercial manufacturers for the last 18 years. His many publications/ presentations reflect his broad experience in risk management, validation, tech transfer, and control strategies. He won the 2008 PDA Distinguished Author Award, PDA’s Fred Simon Award in 2017, and the Distinguished Service Award in 2018. Stephan has numerous publications in the PDA Letter and PDA Journal, has co-authored several PDA technical reports, and was the former PCMO’s Task Force leader for IMP Specification Setting (2015). He holds many volunteer positions for PDA, including serving as the leader for the Biosimilars IG, as a member of PDA’s BioAB, EAB, RAQAB, PDA Letter Editorial Team, and the Program Advisory Group, and as a course instructor at PDA’s Training and Research Institute in Bethesda, USA. Stephan often serves as chair and lecturer at major conferences worldwide. In 2012 and 2015, Stephan was recognized for his work with PDA and was invited by the FDA to present and discuss industry perspectives with OBP/CDER staff at FDA’s headquarters. I have worked with several associations and industry groups in the past but have not found any other group to be as rewarding and fun to work with as PDA. Because I really like working with my PDA colleagues, the task forces, committees and board members, I have steadily increased the number of projects in which I have been involved. I am very proud to be nominated along with the other highly qualified candidates for the position of member of the Board of Directors. I am looking forward to dedicating more of my time to the PDA mission and sharing the hands-on experience I have accumulated through my almost two decades in the industry. As a Board member, I believe that I can use my knowledge and strengths to support PDA’s strategic 2020 plan effectively. I want to use the influence afforded by that position to further expand PDA’s leading role in technology innovation and the development of novel therapies. 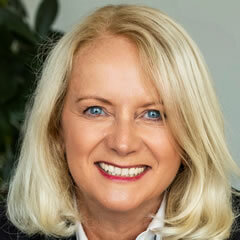 Brigitte Reutter-Haerle is Vice President of Marketing/Corporate Communications for Vetter and is responsible for the company’s international marketing activities, product and service management, employer branding, and internal communication. She joined Vetter in 1996, serving in the company’s sales and marketing function and transferring to corporate marketing three years later. She began her career in 1983, holding various positions in the sales organizations of firms including Hilton International and TNT Express Worldwide. 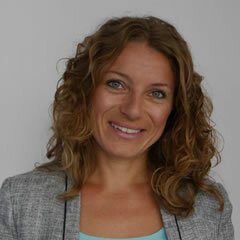 Brigitte has been a PDA member since 2005, serving as a member of the PDA Marketing Advisory Board and as leader of PDA’s Pre-Filled Syringe Interest Group/Europe since 2007. 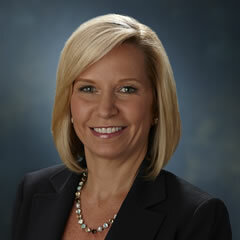 In this role, she has served on various committees, including Chair of the PDA UPS program planning committee. She helped to establish the PDA PFS conference in Japan as a conference planning committee member. In 2014, Brigitte received the PDA Distinguished Service Award, and, in 2017, the PDA Europe Service Appreciation Award for her long-standing commitment. The awards were in recognition of special acts, contributions, or services that have contributed to the success and strength of PDA. Ms. Reutter-Haerle earned a BA and a degree in business administration from Baden-Wuerttemberg. As an active PDA member since 2005, it has been my distinct pleasure to be of service to our members through various committees and commitments that help cultivate an environment of sharing and exchange of invaluable information. PDA is the leading organization to offer its members the opportunity to improve their knowledge while remaining fully informed and abreast of the key trends and issues affecting our industry. If elected, it is my pledge to continue supporting the goals and objectives of the PDA by working closely with our members and industry colleagues to address issues of paramount importance to our industry. It is my hope to inspire and motivate members to take active roles and share their experiences. After all, we can only be as strong as our members are active. Most importantly, I desire the opportunity to build and nourish good strong relationships and help to inspire a positive working atmosphere with industry colleagues. I personally feel that the Pharma/Biotech industry will continue on the path of moving from a manufacturer and marketer, to being service providers with an integrated view for all stakeholders, including patient, healthcare provider, and payer. I want PDA to be the spearhead of that movement. Anil Sawant has more than 28 years of experience in the pharmaceutical industry in Quality & Compliance, Pharmaceutical Microbiology, Business Ethics and Compliance, Auditing, and R&D functions. He has worked on various dosage forms, and various product types’ drugs, biologics, vaccines, medical devices, and consumer products. Currently, Anil is Sr. Vice President, Global Quality Compliance, Merck. Prior to joining Merck, Anil served in executive positions at Johnson & Johnson and at Wyeth Pharmaceuticals (now Pfizer). Anil has been a PDA Member and volunteer since 1992. Currently, he serves on the PDA Board and Co-Chairs the PDA Data Integrity Task Force. He has been the lead or co-lead on four PDA Technical Reports addressing the science and best practices pertaining to issues resulting in highly publicized FDA enforcement actions. 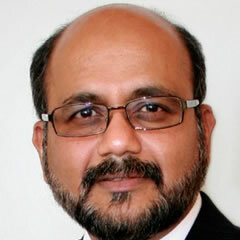 Anil is a frequent speaker at PDA conferences and local chapter meetings. He holds a B.Sc. Honors and a M.Sc. Honors in Microbiology & Biochemistry from Panjab University, India, and a PhD in Microbial and Biochemical Sciences from Georgia State University, Atlanta. He is a recipient of the GSU Distinguished Alumni Achievement Award. Anil serves on the Board of the non-profit Mind Your Brain Foundation and has served on the Board of Directors of GSU Alumni Association. It is an honor to be nominated for election to serve a second term on the PDA Board of Directors. For the past 26 years, PDA has played a major part in enriching my professional life, and I am thankful for being part of such a great organization. PDA is the “go to” organization to address the technical issues our industry faces and the publisher of timely, high-quality technical reports. I am committed to working diligently to promote science-based compliance and patient-centric policies. I am passionate about Data Integrity and Co-Chair the PDA Task Force. Over the last three years, the Task Force conducted four Data Integrity Workshops, published a Code of Conduct, a much-needed PDA Points to Consider paper on Best Practices for Document/Data Management, and a Technical Report on Data Integrity in Laboratory Systems. As reinterpretation continues of paper era written GMPs in the context of today’s technology, I am interested in continuing the work, especially on manufacturing systems. I am also interested in promoting harmonization of quality standards by supporting PDA's standard setting and international activities. Melissa Seymour is the Vice President of Global QC Operations for Biogen, Inc., responsible for the comprehensive strategy and implementation for Global QC testing of Raw Materials, Drug Substance, Drug Product, and Finished Goods worldwide. Prior to this, Melissa served as the Vice President of Corporate Quality, responsible for global compliance and quality systems. Melissa holds BS degrees in both Biological Sciences and Biochemistry from North Carolina State University and an executive MBA from Duke University. She has more than 25 years of experience in the quality arena, including positions at Novo Nordisk Pharmaceuticals and GlaxoSmithKline. Melissa has been highly active in PDA’s Southeast Chapter for the last eight years, holding leadership positions on the local board. She is involved in many activities for PDA, serving on the Program Planning Committees for many PDA conferences, including the 2017 PDA Annual Meeting and as co-chair for the 2018 PDA Annual Meeting. She also is active on the PDA PAC iAM Task Force, co-chairs the Tech Transfer Interest Group, and has authored and reviewed multiple PDA technical reports. Melissa is an ASQ Certified Quality Engineer, Certified Quality Auditor, and Certified Quality Manager, and served on the Board of Directors for the Rx-360 Consortium. I am once again humbled and honored to be nominated to serve on PDA’s Board of Directors for a second term. I have been blessed to be an integral part of the local chapter in the Southeast, and a part of the Board for the last few years, seeing the many benefits that this organization provides to this rapidly evolving industry, both locally and globally through training, resources, conferences, and collaboration with regulators. I find the volunteers, membership, and leadership at PDA to be truly focused on patients and enabling industry to provide the best quality care to those in need. It is this dedication to science and the improvement of pharmaceutical technology that drives my continued involvement in this outstanding organization. As a member of the Board, I would continue to work to ensure that PDA can continue to meet the challenge of advancing pharmaceutical science and development of new technologies and providing unparalleled training and conference opportunities for the industry. I am sure that, in collaboration with the talented team of volunteers and exceptional staff at PDA, we can continue to contribute to advance PDA’s mission. I am thankful and appreciative to have the opportunity to serve in this capacity. 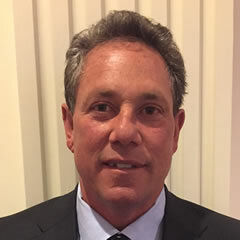 Art Vellutato, Jr. is President and CEO of Veltek Associates, Inc. (VAI), founded in 1981, and President and Senior Consultant of Aseptic Processing, Inc., consulting division of VAI. He has been a frequent industry speaker for more than 30 years, has authored more than 75 industry publications, holds more than 150 worldwide patents, and is one of the leading consultants in the industry. Since 2002, Art has conducted training on Cleaning/Disinfection/Contamination Control/EM for FDA, the EMEA, the TGA, and the Kazakhstan (Russian) Regulatory Agency. Art has been a PDA member for more than 30 years. He teaches PDA’s Aseptic Processing Course and has served as the Coordinator and Faculty Trainer for PDA’s Cleaning and Disinfection Course since the inception of PDA’s Training and Research Institute. He is the Chair of the PDA Cleaning and Disinfection SIG and has served as chair and technical writer for PDA TR70 and was a member of the PDA TR 13 Task Force. He received the James P. Agalloco Award in 2011, PDA Excellence in Training Award, and the 2017 PDA Gordon Personeus Award. He has been a Faculty Member for USP <797> Workshops, Past President of the PDA Delaware Valley Chapter (1999-2014), Past Chair for the PDA Exhibit Committee, and is currently Chair of the PDA Chapter Council. After many years being involved in many volunteer roles at PDA, I’ve learned that information exchange represents PDA’s most valuable asset to GMP organizations, regulatory agencies, and GMP professionals. The interaction between professionals who have common goals is invaluable. Many times, success in this venue does not come from just attending sessions or joining an interest group and goes deeper into personal relationships. The relationship development, coupled with the utilization of learning tools such as those provided by PDA Education, can provide all levels of management with the ability to ascertain what is best practice, what are regulatory expectations, and how to develop best practice skill sets throughout their organizations. As a PDA Board Member, I will strive to make the relationship between members, the learning experience, and the realization of best practice in conjunction with regulatory agencies a foremost priority.